During the internship, my working skills are improved a lot as communicated with many partners and stakeholders, managed website, and supported other various tasks. All of the work experiences are meaningful and become valuable moments in my life. It is hard to explain all of my precious memories in the EAAFP. Therefore, I would like to focus on my three unforgettable experiences. On the first day of my internship, I prepared the Finance Committee Meeting. 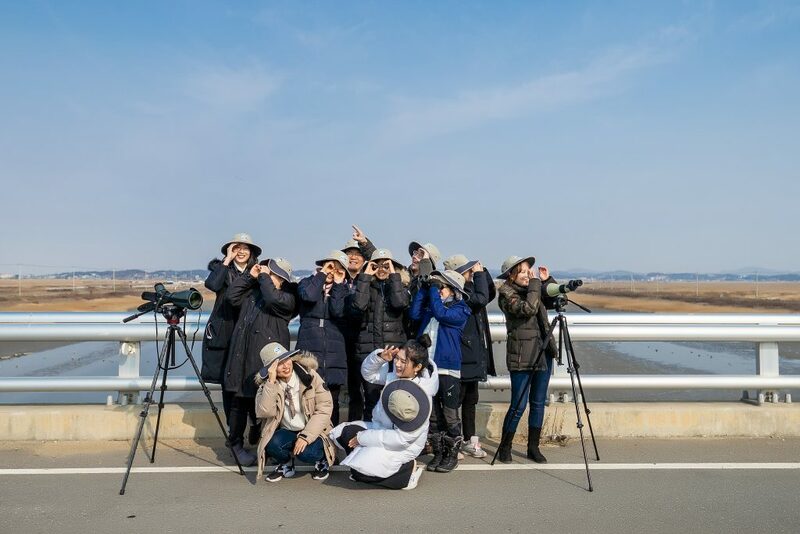 I went Songdo tidal flat, Namdong reservoir, and Sorae wetlands with the committee members for birdwatching. These areas are important sites in Incheon to breed and stopover. It was the first time for me to do the birdwatching. Since, I studied environmental engineering, I just learned about the restoring nature resources and renewable energy and so on. When we had opportunity to go on a field trip, we visited Landfill Site Management Corporation and Waterworks Headquarters in Incheon Metropolitan City. Observing birds is a totally new experience, so this activity drew my interest from the beginning. The committee members introduced and showed the birds with the telescopes. I realised many kinds of species have visited Incheon, and Songdo tidal flat was designated as a Ramsar site. I got the new knowledge of Incheon and I can feel what EAAFP doing in reality. The most memorable event is the 10th Meeting of Partners. 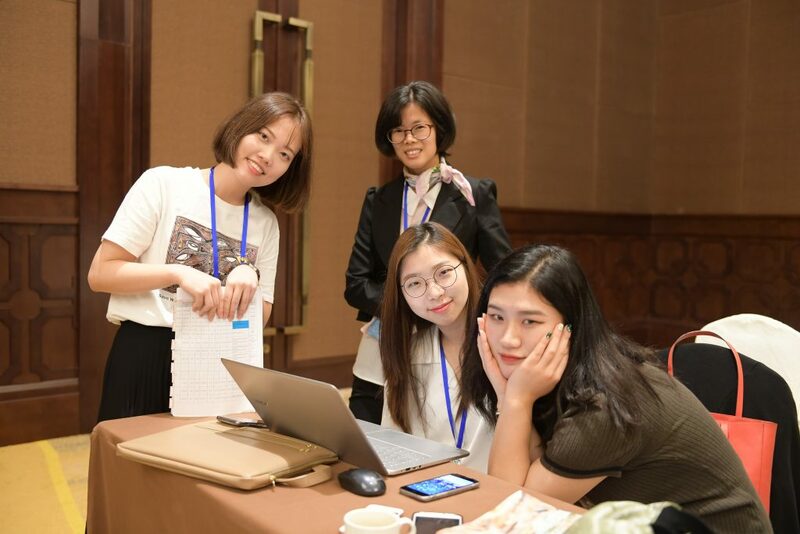 It was an international conference that was held in Hainan. I managed the participants’ list and their transportation. I collected attendees’ flight tickets, organised their arriving times, and guided transportation between the airport and the venue. To do not make inconvenience, I tried to check the data several times. In the process, I communicated with our partners and participants. Collaboration with our colleagues was also necessary to match all data as each staff took different roles. All colleagues worked hard to make a successful meeting. From MoP10, I experienced what is real team cooperation as well as the importance of communication. After the MoP10, I made a plan for our secretariat field trip to Seosan and Hwaseong. I can apply my skills which I have learnt. Communicated with NGO, arranged the schedule, and checked accommodation, etc. It was a great chance to take charge of the event. At the same time, it was a good opportunity to develop my skills. I was glad to be a part of the secretariat. Before this internship, I have never think about the birds’ species, but now I am trying to recognise the species when migratory birds passing overhead. Moreover, I learned a lot from all our secretariat members. I will never forget these six months and lovely staffs. All abilities that I learned from the EAAFP will be a good stepping stone for my future life. EAAFP 10th Anniversary and World Migratory Bird Day 2019 Event. 2019 International Black-faced Spoonbill Census Results showed new high number!